The Society is getting ready for the 2013 Homelessness Action Week (HAW) with events taking place between October 13th and 18th. 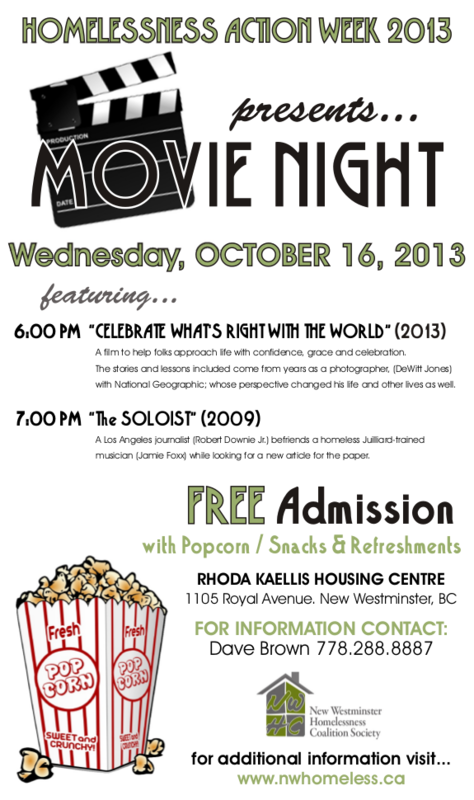 On Wednesday October 16th at 6:00 pm, please join us for a movie night at the Rhoda Kaellis Housing Centre (1105 Royal Avenue, New Westminster). 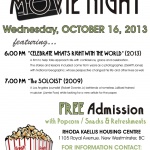 Admission is free and includes popcorn and refreshments. 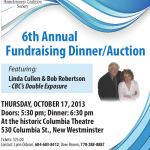 On Thursday October 17th at 5:30 pm, the Society is holding the Sixth Annual Fundraising Dinner/Auction at the Columbia Theatre (530 Columbia Street, New Westminster), with special guests Linda Cullen and Bob Robertson. 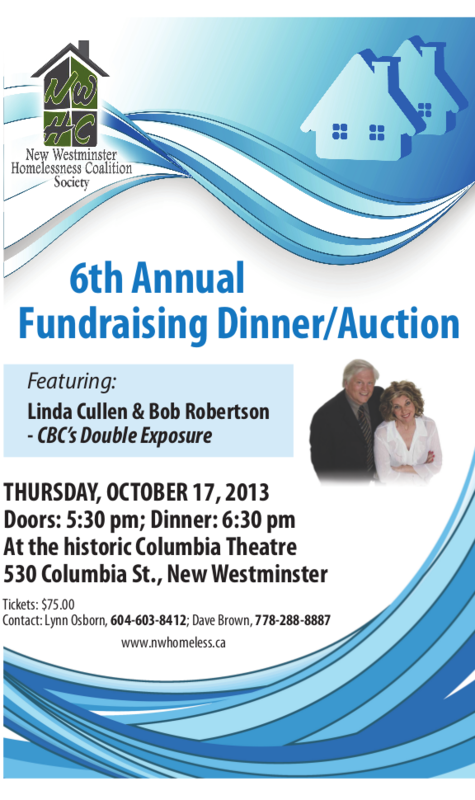 Tickets for this event are $75.00. For more information about these and other happenings during HAW, please contact either Lynn Osborn (604-603-8412) or Dave Brown (778-288-8887).